As promising and pleasing as the first generation of the Pontiac Firebird was, the second generation cars are equally as cool in a different way. The Formula 400 cars are sweet rides, and this early production 1970 Formula car may look a little weathered, but offers a lot! 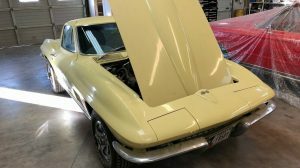 Equipped with its factory drive train, and auxiliary components, this ‘Bird has spent the majority of its life in Texas offering a solid basis for a restoration. 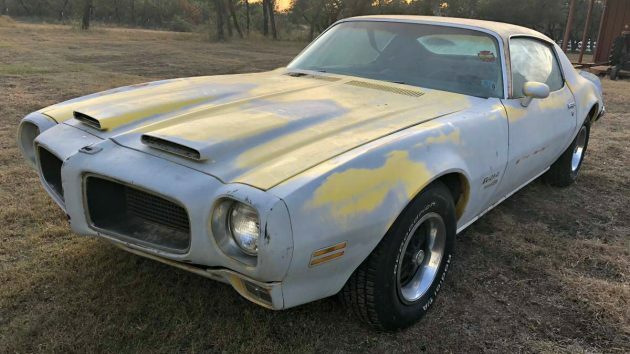 The great thing about this Pontiac other than all of its originality is that it is priced quite reasonable in this modern day and market place. Offered for $5,500, this ‘Bird seems a worthy catch. Check it out here on craigslist out of Azle, Texas. Thanks to Pat L for this classy bird submission! Beneath the hood lies the original 400 V8 engine and transmission with all of its period date coded parts, minus the original air conditioning compressor. Despite its high level of completeness, this Firebird has been off the road since 2003, so it is not currently a runner. 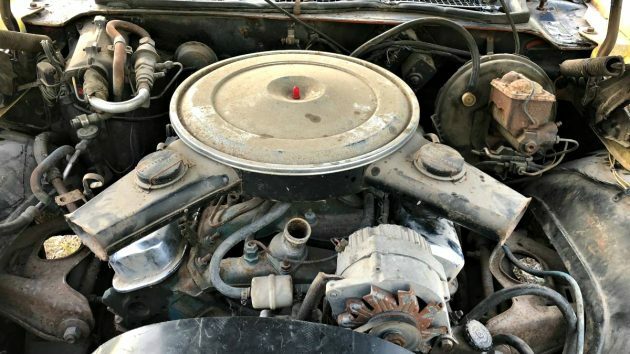 Although the seller does mention that the engine can be turned over by hand. Although the Texas climate has been good to the structural integrity of this Pontiac, it was not so kind to the interior. While the interior is complete, the sun has taken its toll on the upholstery, and seat foam. The dash pad is cracked, but the remainder of the dash is in fair shape. 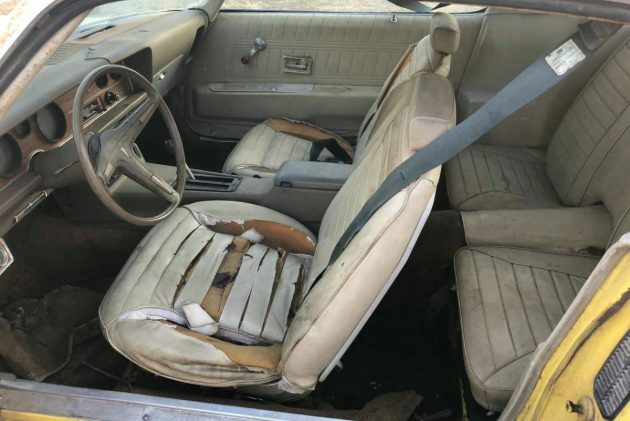 If you were looking to preserve this car instead performing a full on restoration, you could likely get away with a solid detailing, and some upholstery work. Although covered with primer, this Firebird is quite solid with little in the way of rust. The quarters have some rust, as do of the front fenders, but thankfully the rockers appear solid. The paint is well worn from its time spent in Texas, making this ‘Bird a great restoration candidate. There is no extensive damage to this Pontiac, besides a dent in the passenger side front fender. 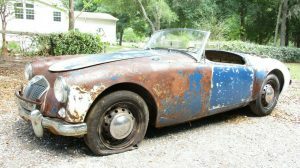 With all the marks to make an excellent restored car, would you jump on this Formula project to restore? looks like a pretty good deal to me! The car hasn’t run in 15 years which would indicate MAJOR engine work, has rust in the 1/4’s, needs exterior paintwork and a complete interior …. if you think this is a good deal, please call me and I’ll show you 10 “good deals”!!!! Hey Sal Dude your clueless! So step up to the plate and show us all the better deals you know of? $5500 is a very respectible price for a car which is pretty solid and still retains its original drive trane and engine. Perhaps your not keen to finds like this or just don’t like Pontiacs? This is a very restorable car. It truly amazes me people who can sound off about something which they know NOTHING about or know the potential to making a restoration work. Post your phone number will all give you a call! One minute on barn finds. The bird is no longer to be found on the Craigslist . Must have flown from the coop. Say’s it’s been deleted by author. Too bad I was looking forward to checking it out more but so was someone else. +JW – I wasn’t a dollar short, but apparently a day late. That was VERY interesting. I have a clear vision. One car I still want is a “Rockford” tribute car. I loved that show and James Garner was a super hero, despite having many ordinary flaws, like the rest of us. Since the show ran so long, there were many different cars. Pontiac supplied three new Firebirds per year for the TV series. They received Firebird Formulas, and then they would remove the splitter exhaust tips and the rear spoiler. They also changed the hood and rear deck lids, and filled the drill holes from the spoilers. (I believe that Universal Studios decided to paint the Firebirds a Lt Topaz color for the 1975 model year, which was the color used throughout the rest of the TV seasons.) This was done so that it gave the illusion, Rockford always had the same car. In 1978, James Garner was not fond of the 1979 Firebird styling, plus he knew the series was going to be ending soon. As a way to save money, he decided to use the 1978 Firebirds for the last two seasons. It seems nobody did a better “J” hook turn. ” “J” hook turn” also known as the “Rockford”. I’m surprised widely available ultra thin white stripe tires weren’t fitted to the Rockford firebird. They were actually offered on the ’73 t/a!! , but only for a short period. Those much wider whitewalls on the car above belong more on an old Caddy, etc. Today, ultra thin whitewalls will be VERY hard to find & if found, very very expensive. Not sure why they were not more popular back in the day. I had one of these. Brewster green w/ green enterior, and the ram air III engine & 4 speed. Great cars! and by the way,… the “j turn” was first called a bootleg turn. +Blindmarc – Actually; the correct term was the “bootlegger’s turn”. As you probably know, it was first used by by prohibition-era bootleggers who were being pursued by Federal “Revenuers” along narrow country back roads. In those situations, there wasn’t enough room to turn around (especially with the turning radii of some of those old ’30’s Buicks and Packards. So, they would employ the “J” turn. The pursued would get as far to the opposite side of the road as he could, stop, throw it in reverse, turn the wheel all the way to the opposite side, proceed with as much of a circle as far as road width would allow, then opposite lock and power out. This avoided the multi-point shuffle that most people use to turn around in tight spaces. If you are talking about the “handbrake turn”, Wikkipedia is incorrect. The inducement of direction change by application of steering input, brake and handbrake, is just that; a “handbrake turn”. they are two very different techniques. The perfectly executed “handbrake turn” causes the automobile to make a 180 degree direction change within its own track. In that case, it does not cut a letter “J” (as in the above example), but more of a fancy “I”. 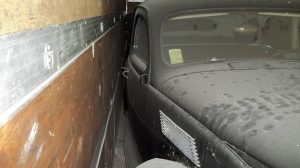 A “handbrake turn” executed in a 1935 Packard 4-door (or some such), filled way past the limit with containers of alcohol, would be beyond dangerous. It would virtually guarantee a rollover. These are two separate maneuvers, that time and usage have conflated. My apologies. I didn’t mean “within its own track”, I meant “within its own wheelbase”. I had a High School friend, that worked at a Pontiac dealer in 71 and 72. I always liked the Formula cars, better than the Trans Am cars. Although, the H.O 455 Trans Am was pretty cool. It sure was fun sitting in these, and dreaming of driving/owning them. Did James Garner do his own “Rockfords”, or did a stunt driver? Garner did almost all of his own stunt driving including the “Rockfords”. Also, there are a few shots of a ’79 in some of the last episodes. It’s true Garner wasn’t a fan of them and it’s funny to see the ’78s and ’79s mixed within the same episode but I’m sure the studio assumed nobody would notice. 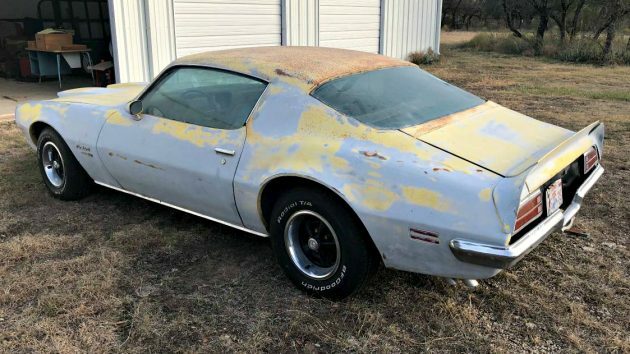 I really like 70 Firebirds/Camaros with the one year low back seats and the low spoiler used on the Camaro, this will be a sweet ride once finished! sure there are other parts unique to the 70 models I just do not know what? Since it’s a 1970 Formula, it would have a 12 bolt rear end. Did he address that in the ad? The Charity shop I volunteer at was gifted a Formula with this body style. Although reputed to be a HO455 car, research shows that it was originally a 400. It does now have a 455. The car is hopped up, with aluminum heads and many other high-performance bits. We’re nearing the point where it will be capable of being driven, and from there it will be decided whether to sell or do more work. 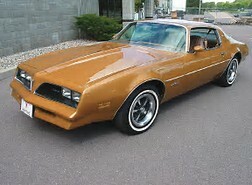 If I had the garage space I would own a 71-73 firebird. Preferably Brewster green but any color is a classic. Sal- rust in the 1/4’s on these cars isn’t a big deal like it was 30 years ago. A number of companies produce reproduction panels that even a high school body shop class could properly install. 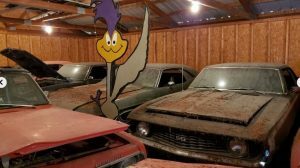 it’s sold I bet that dam Richard Rawlings seen it and went and got it…. Amazing deal on a fantastic car. Wish I could have found it. Could be a real machine again, hopefully something good comes out of it and it’s not let to rot away.